I've seen that there are a lot more people on imgflip excusing Trump than don't. 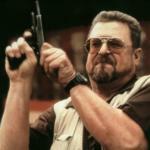 I said my wife had been propositioned & it was downvoted & hidden by those cowards. Good luck. Well I'm sure you wouldn't be mad if the guy was a star...I mean they can do what they want right? Hey bud...zero fks given to trump and his supporters...sincerely sorry your wife went through that... Trump is a religion to them..they can't admit he is *pick top 100 worst adjectives * it would destroy their identity...which makes them weak and stupid. Cheers. He is a religion to many of them. I knew he was a big fake the first time I saw a bit of the Apprentice on TV. 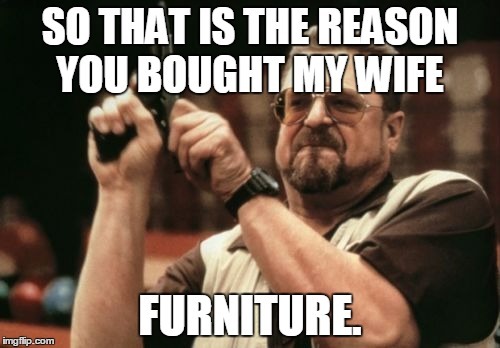 SO THAT IS THE REASON YOU BOUGHT MY WIFE; FURNITURE.